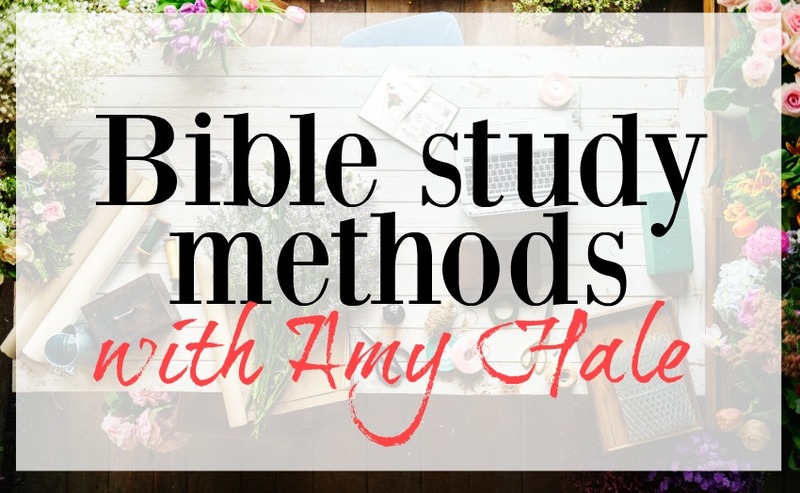 A few weeks ago I had the pleasure of filming a video interview with Amy Hale (of Instagram fame) as we worked through the second week of Biblical meditation over Psalm 119. Amy is a wonderful woman of God who deeply loves the Word of God. 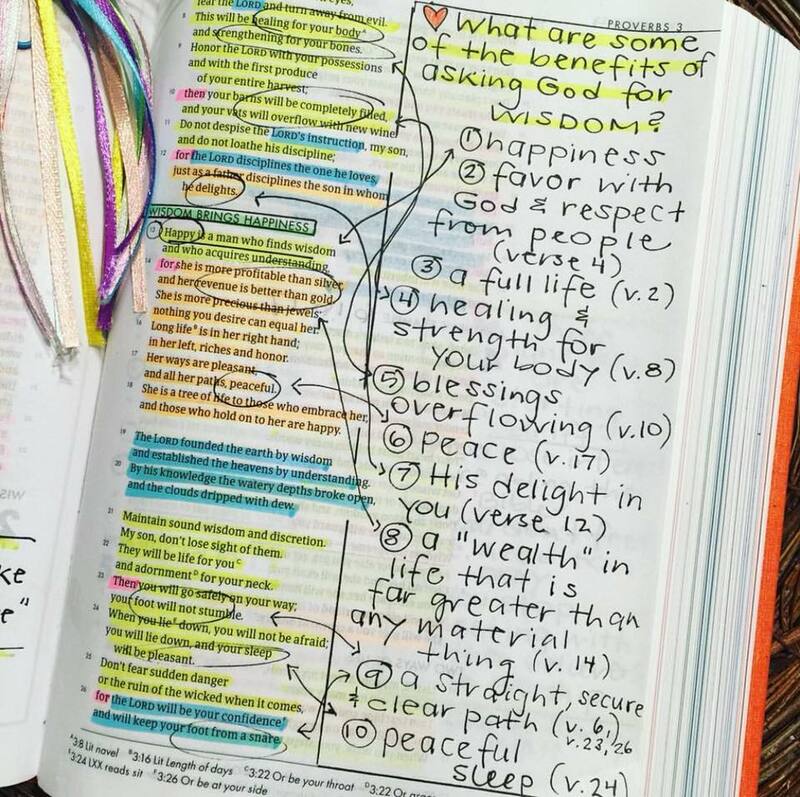 It only takes a moment of scrolling through her Instagram page, to see her love of the Scriptures. In this video we discussed her time working through the new Meditation 119 guide and then Amy shared examples of many different styles of study and meditation that she uses. I had a lot of feedback requesting closer pictures and more information on what she shared, so I gathered them together to hopefully inspire and encourage you in your time studying and meditating on the Bible. 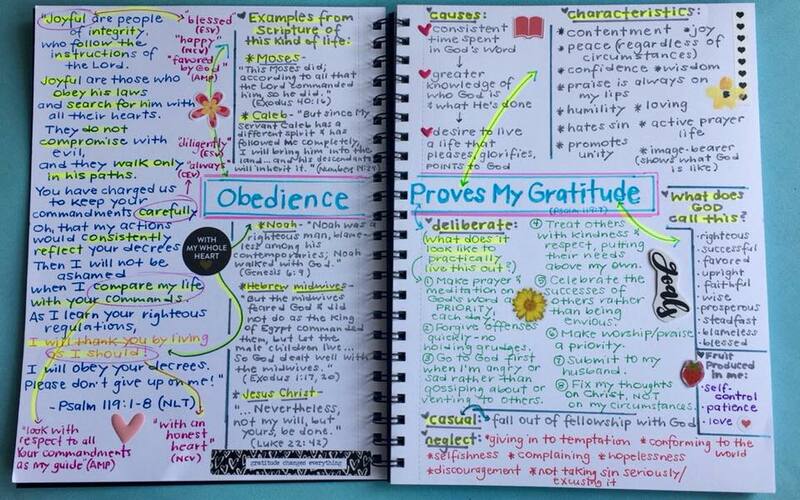 Amy's two page spread from her time working through the Meditation119 guide. 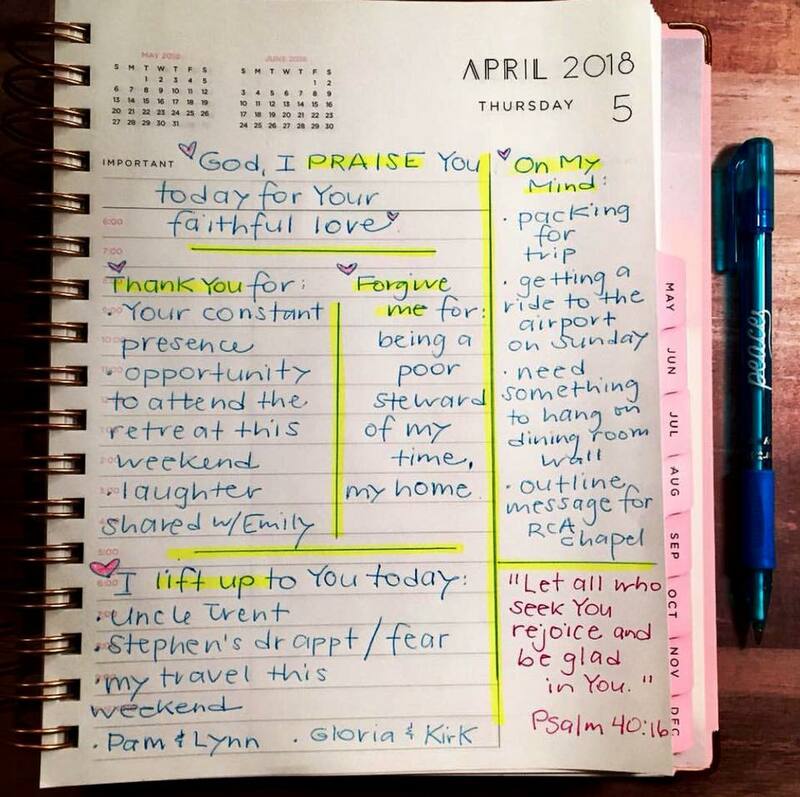 A sample of Amy's morning page that she does in a daily planner (She talks about it at around 29 minutes into the video above). A different, simple method to meditate on a verse or passage called Seven Arrows by Matt Rogers. 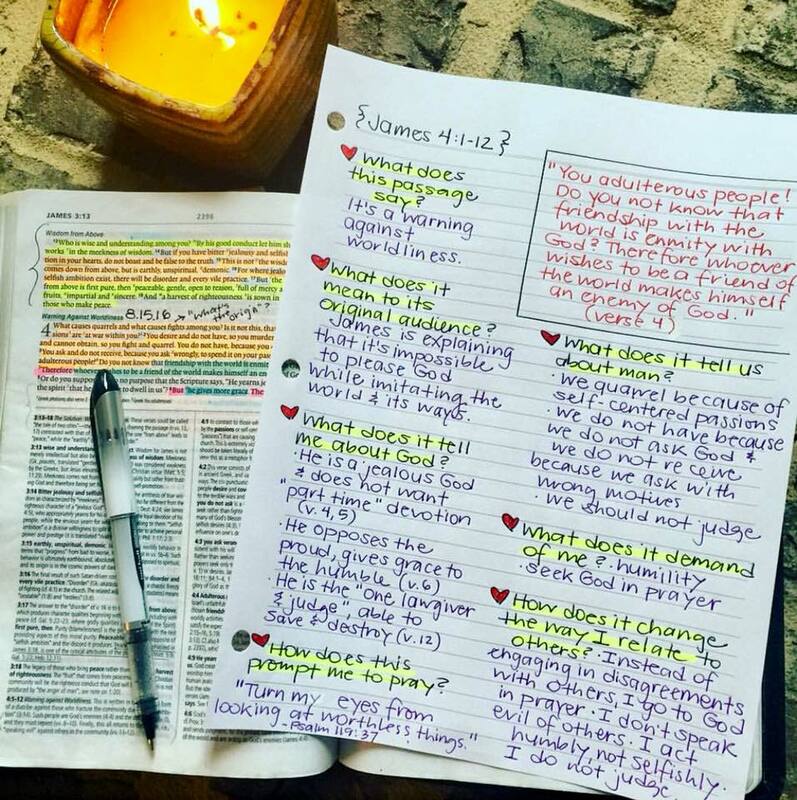 Color coding and notes in her Bible. There is a full step-by-step walk through of how Amy does this on her Instagram stories. An example of the S.O.A.P. 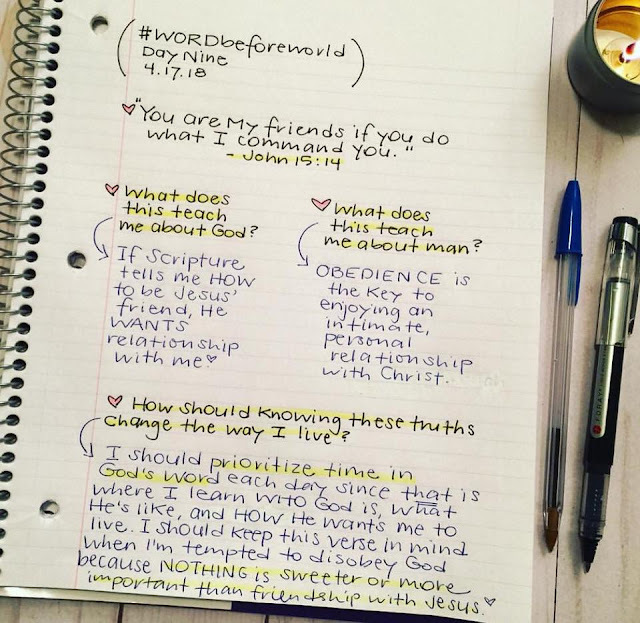 (or S.O.A.K) method of Bible study from Good Morning Girls here. #wordbeforeworld method you can find here. If you want to know more about Amy you can follow her blog here. And be sure to follow her Instagram and Facebook pages. There's also a great interview with her on the Well-Watered Women blog with lots of great information. Thank you so much for sharing these things, Kari! Honored! Thanks, Amy! It's such a pleasure to learn from you guys! Do you ladies say.. "brain vent?" We talked about a "brain dump". 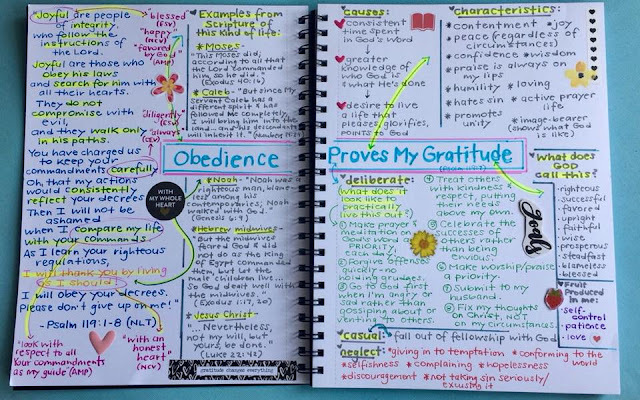 This is where you just jot down the things on your mind when you wake up so that your prayer time won't be cut short due to distraction. Thanks Kari and Amy for sharing this information. Greatly appreciated!! Thank you for sharing. I just love Amy's thread on IG. I love having inspiration of different ways to study and process my thoughts in words. Also thank you for sharing. The psalm 119 has changed my bible study. I use the questions from that, additional questions that Amy mentioned etc and am doing things in an artist notebook. Only decoration I add is colored markers for each section. I’ve done SOAP and still do that sometimes, but this meditation method has really opened my eyes in how I study and really makes me think. I have a hard time getting things out of passages and this has really helped. Thank you for all your hard work and the time you put into all of this. This is an awesome video. I have been a fan of Kari's Bible studies for many years now. 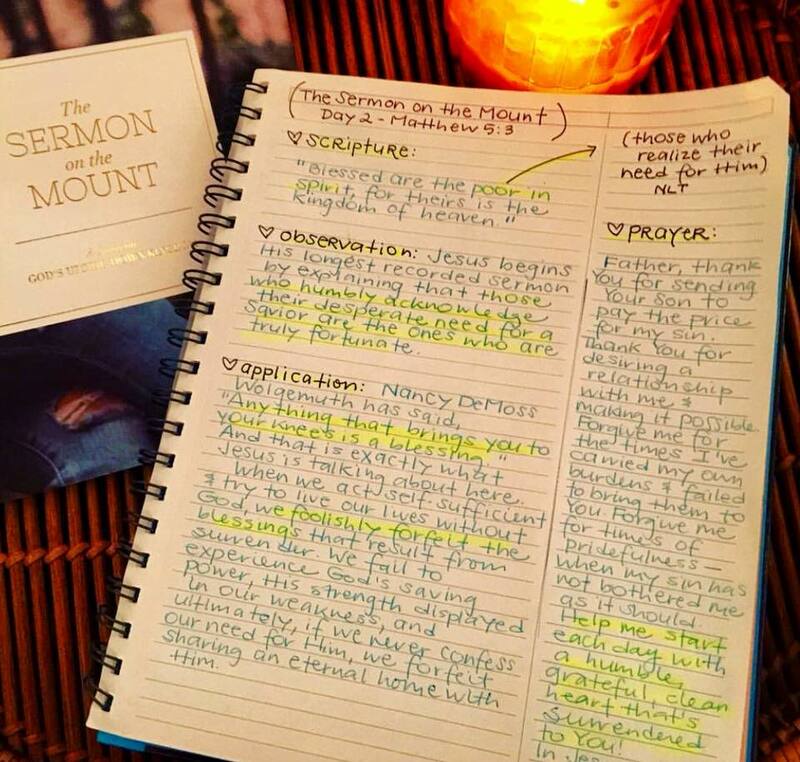 Thank you so much for sharing Amy's visual way of studying the Psalm 119 Meditation and her other Bible Study methods. It has greatly encouraged me for my own personal Bible study time. It has also encouraged me in a different manner regarding my blog. I don't need to recreate the wheel when there are so many great studies out there already. Instead I will let others know about what is already available.